J.J. Ballesteros was born and raised in Orange County and graduated from San Diego State University with a degree in psychology. With a grandmother who owned her own real estate company and a mother who has been a realtor for more than 35 years, J.J. has real estate in his blood. 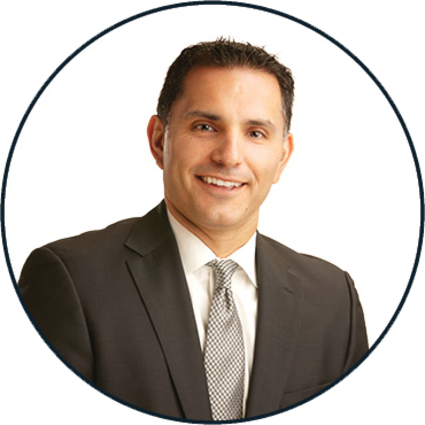 He began his career managing a nationally ranked team for Wells Fargo Home Mortgage, and in May of 2015 he partnered with his wife Andrea and they have been selling real estate together ever since. “There were a few reasons why we decided to team up. We thought where Andrea was positioned, that she should be building a team. Second was living in Laguna Beach, Third was flexibility with our young kids. And fourth was building something special together.” Luxury marketing requires an intensive level of knowledge and sophistication. Combine that with an incredible dedication to customer satisfaction, and you have an incredibly powerful real estate duo, ready to put their skills to the test.